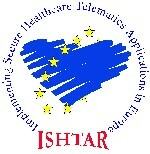 Implementing Secure Health Telematics Applications in Europe. The use of information technology (IT) systems is now an integral part of modern healthcare provision, with computers being used to hold and communicate information that may be critical to both the care of patients and the general operation of a healthcare establishment. As such, the issues of IT security and data protection represent important considerations that must be addressed if patient trust is to be maintained. However, in order to achieve this healthcare staff require support and guidance in relation to IT security issues. * creation of a security dissemination service based on the World Wide Web (WWW). The Network Research Group was responsible for the 'world wide dissemination' workpackage, establishing a comprehensive web service providing information and advice for healthcare professionals. The service provides a range of facilities that are of use to healthcare establishments wishing to increase the protection of their systems or, indeed, respond to a security breach. Key elements include online access to healthcare security guidelines (which were also developed by the ISHTAR project), an archive of relevant presentations and publications, healthcare security incident reports and a brief IT security tutorial for healthcare users.